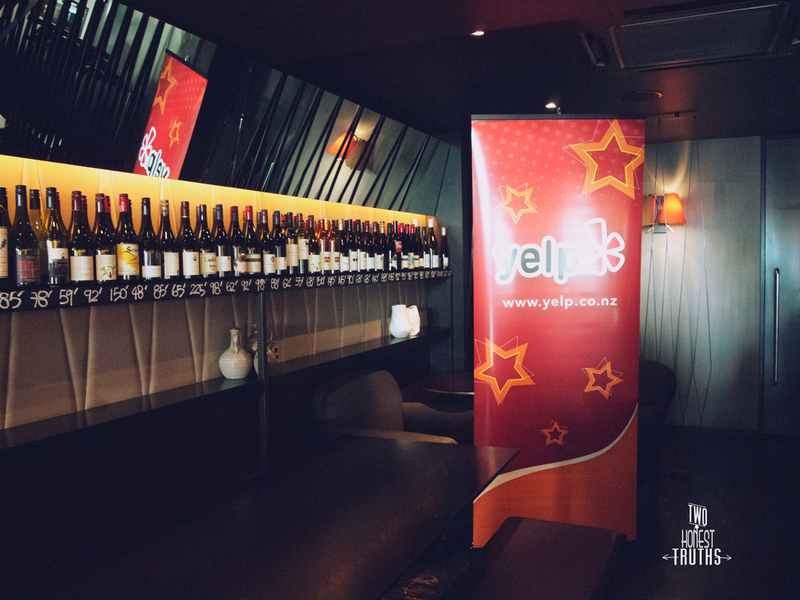 We were delighted to attend Yelp’s latest Elite Event at Ponsonby Road Bistro with Tokyo Food. 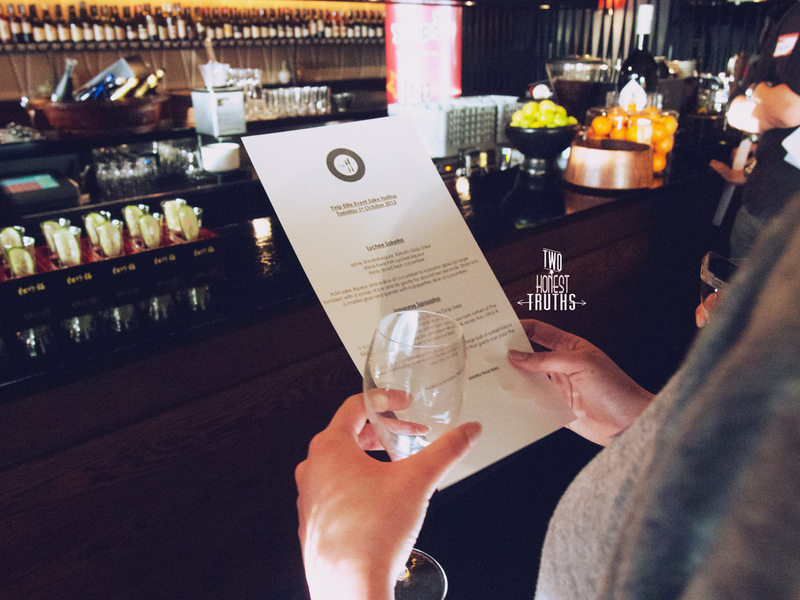 This was our first time drinking sake and not only did we get to try a range of different sake, but we also received a quick masterclass session on the ins and outs of sake origins and etiquette. 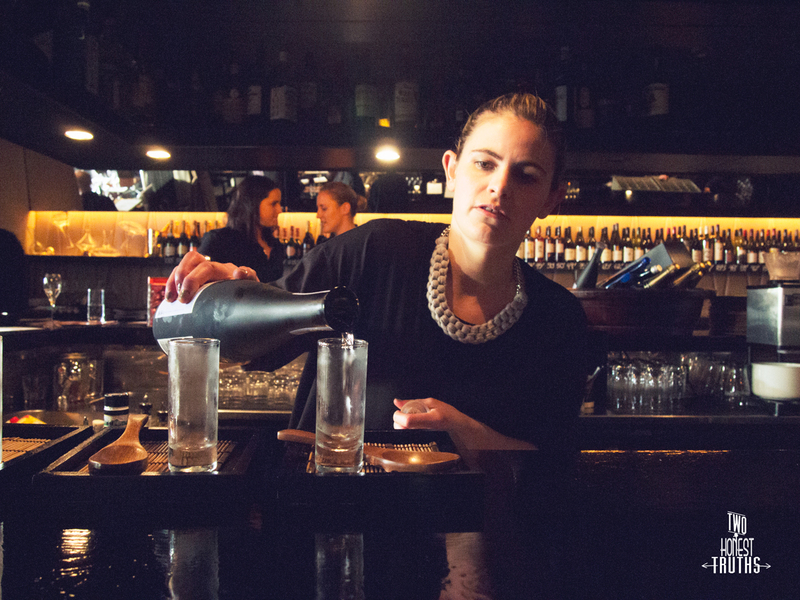 First things first, sake means alcohol in Japanese, not just rice wine. 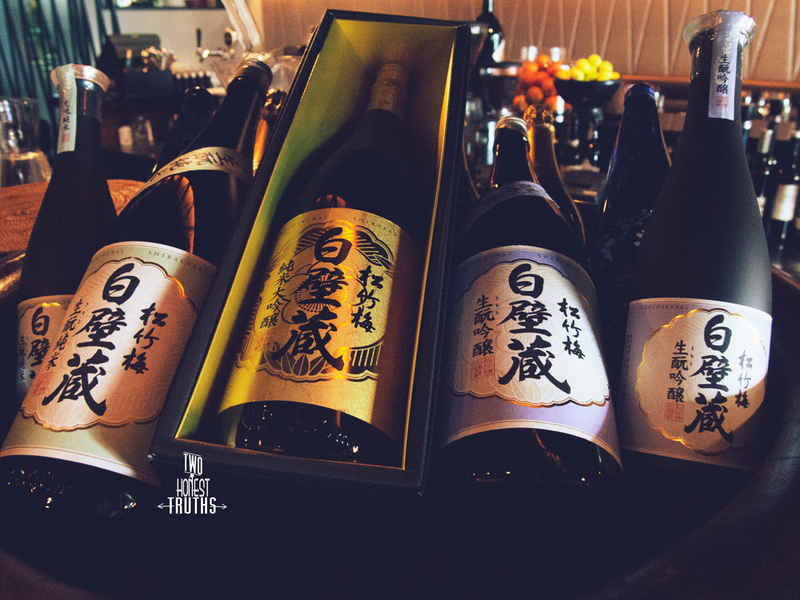 Shu is the suffix that is used for referring to rice wine. It is made mainly with water, rice and mold (yes, mold). 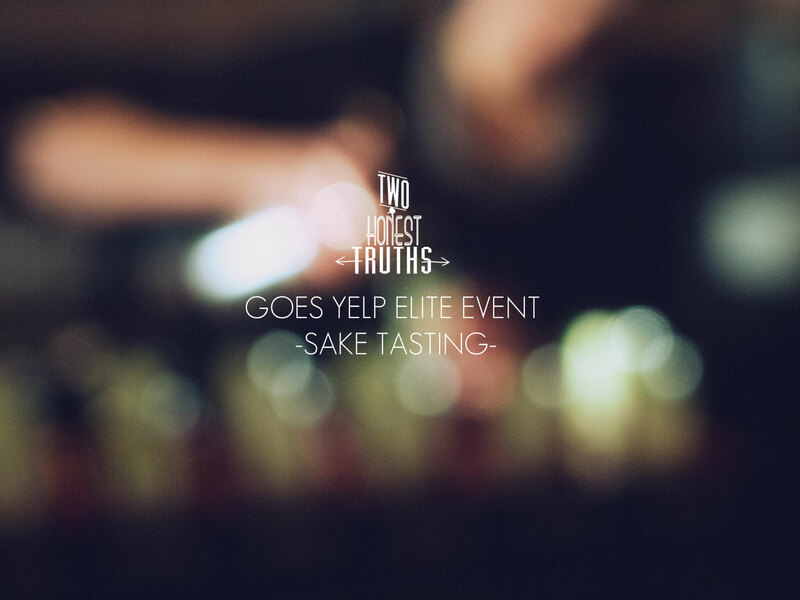 The process is similar to that of beer and the rice used is shaved beforehand – the greater the amount of shaving, the more refined the sake, and the higher the quality and more expensive it is. (You can determine this from the bottle, for example 70% represents 30% shavings, so 40% is top quality.) The shavings are then often used to make rice crackers. 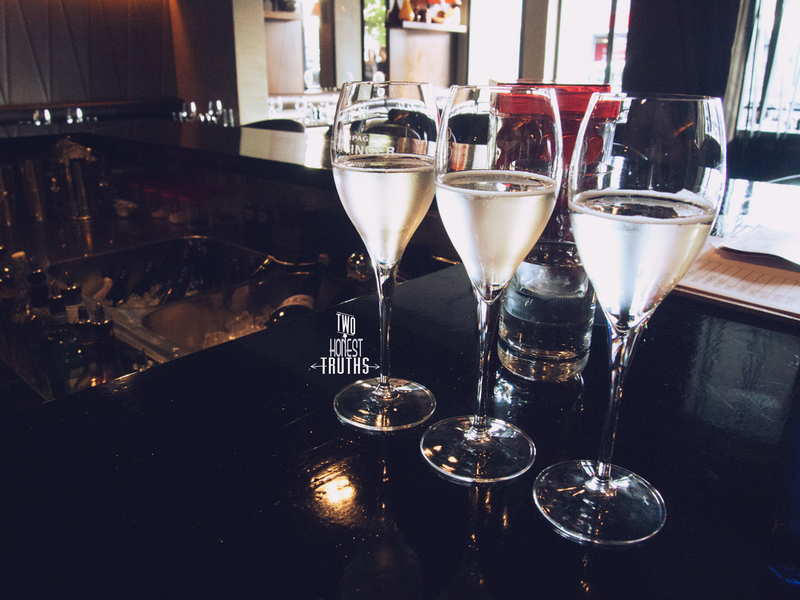 We were greeted with flutes of sparkling sake, Mio, at the door – definitely ours and many other guests’ favourite of the night. It was delicious, sweet, slightly fruity, and not too strong. The sweetness is from the rice itself, there is no added sugar and is made by stopping the fermentation process early. The carbonated drink was a lovely surprise for us as a sake first-timer and was the perfect drink to start off the night. 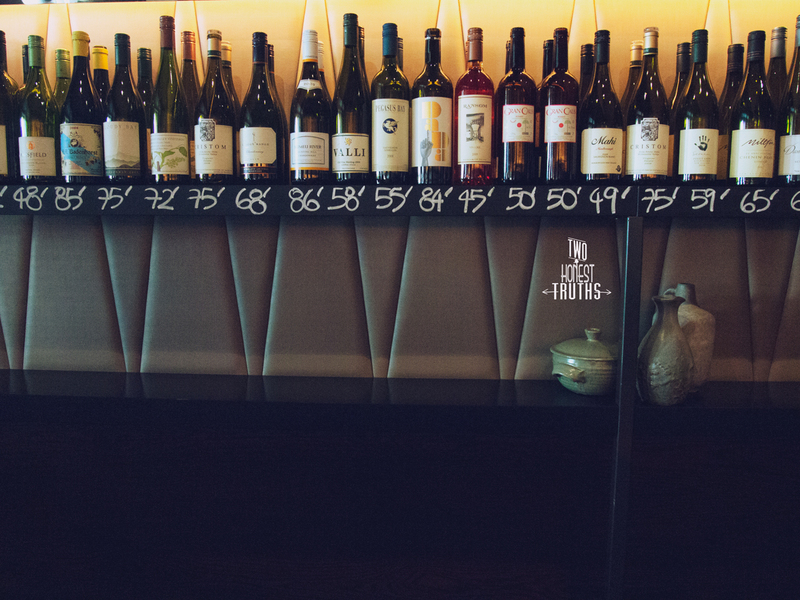 It’s also only 5% alcohol…let’s just say we topped up a few times. 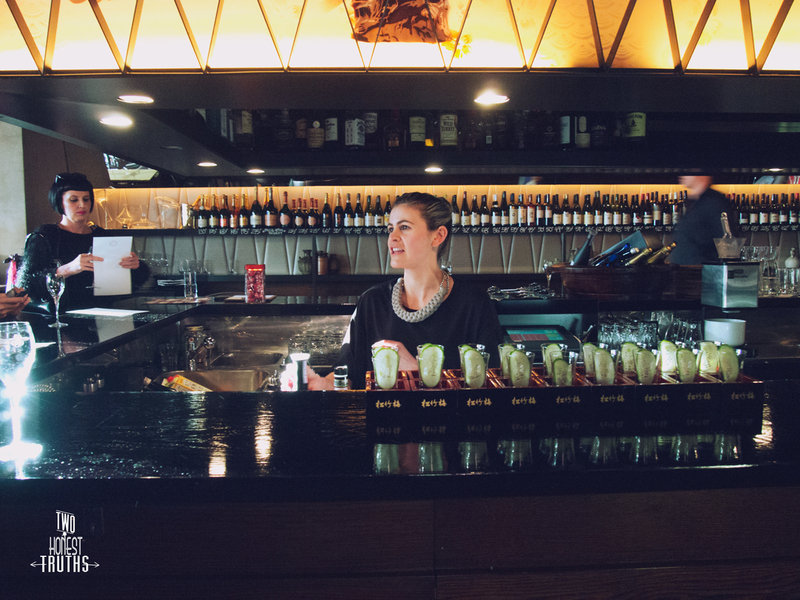 We also got to try sake cocktails from the bar. 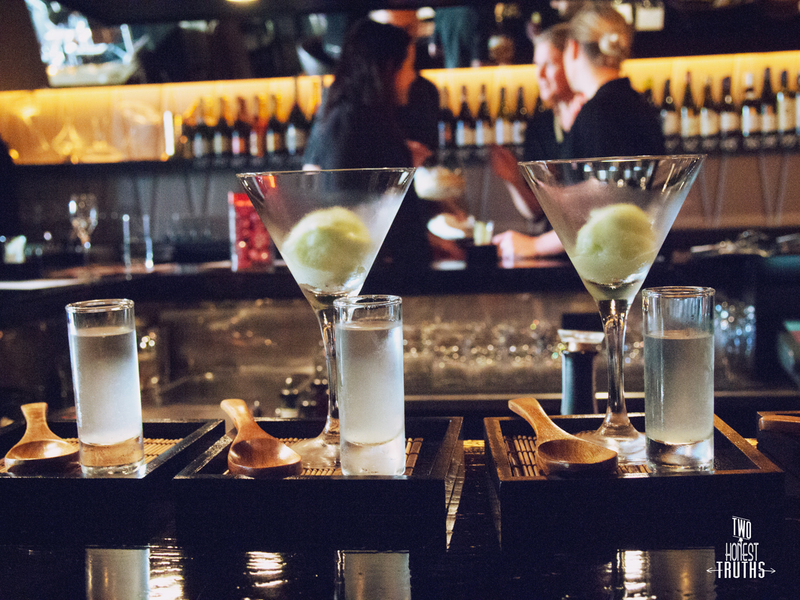 One being Lychee Saketini and the other, Japanese Sgroppino. 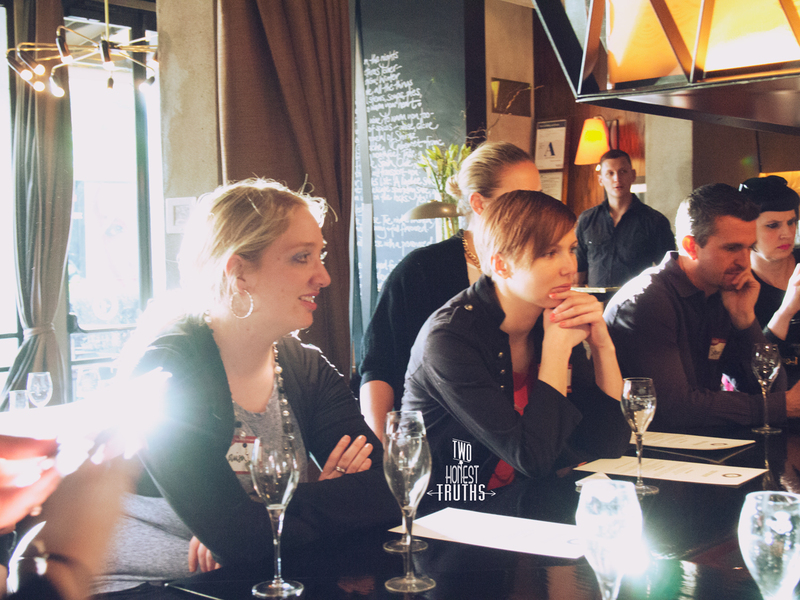 After our little masterclass session there was a quick pop quiz and we were served some chilled Kimoto-Ginjo and offered plum wine. We enjoyed the glass of Kimoto-Ginjo. You should never gulp down all your sake in one go. This shows disrespect and that you’re not taking the time to enjoy your drink at all. 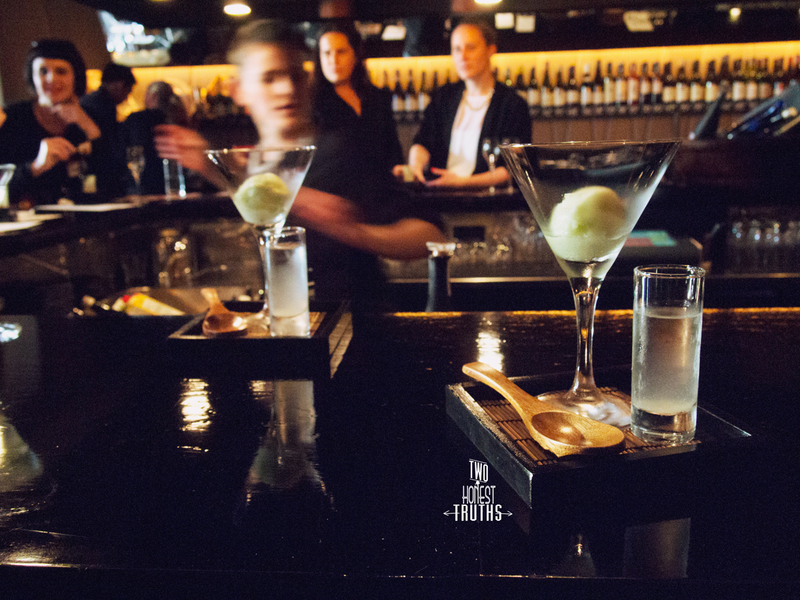 Have sake at room temperature or slightly chilled. 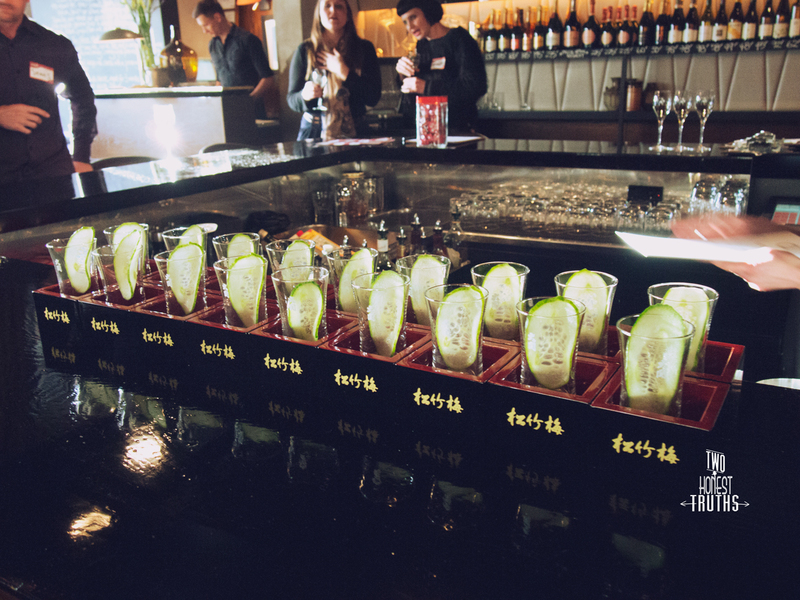 If the sake is served in a masu (cedar square box) and is poured in an overflowing manner, take the glass out and drink the excess from the box. This is especially so if it is a raw cedar wood box. Always top up the cups of others and never your own. This may be a little problematic if your friends have come to a consensus (without you) that you should be the sober driver. And of course there was food involved. 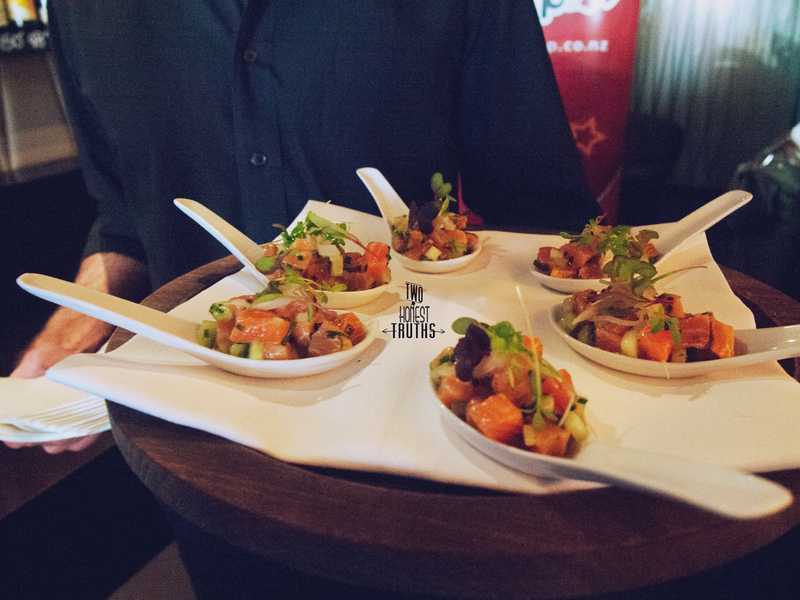 The waiters from Ponsonby Road Bistro came around with canapés. There was salmon, fried squid and wontons. 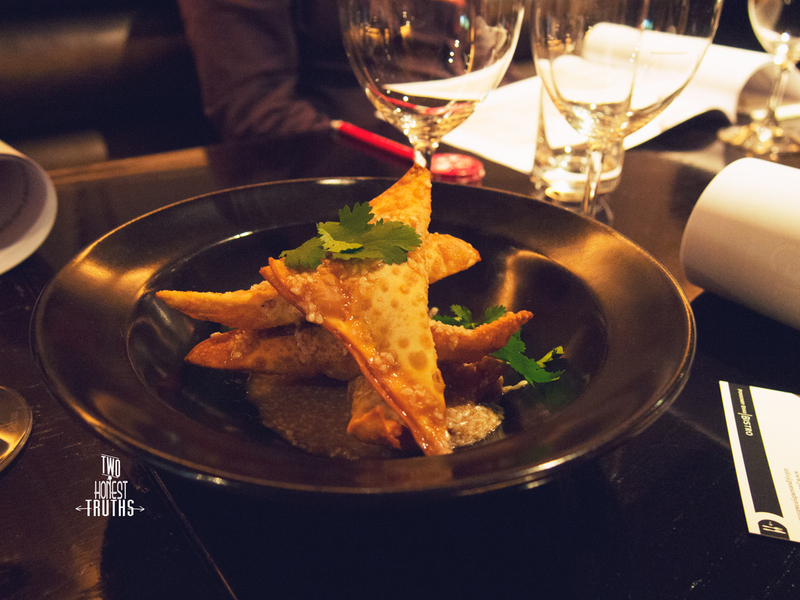 They were all delicious, and we’re thinking we need to re-visit for a full meal at the Bistro very soon. Sylvia Park, Wyndham Street, Khyber Pass Road.